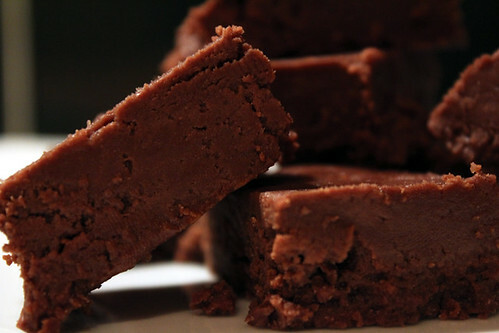 Chocolate Fudge | Abandon Spoon! 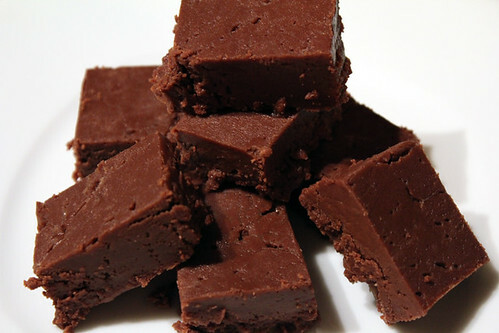 This was my first ever attempt at making fudge- and I think it turned out very well. Took it into work and tried it out on them- they are my guinea pigs for food. It went down very well with most people coming back for seconds, which I took to be a positive sign! 1. Melt the chocolate and butter together over a saucepan of boiling water. 2. Remove bowl from the heat. 3. Add the evaporated milk and orange rind and mix well. 4. Gradually beat in the icing sugar. 5. Spoon the mixture into a 7″ tin lined with greaseproof paper and leave to set. 6. Turn out of the tin and cut up into squares.